Lighting-Gallery-net - The rest/Philips Lumec Helios HBS cobraheads using Philips Cosmo White CPO lamps! Philips Lumec Helios HBS cobraheads using Philips Cosmo White CPO lamps! Located on SR 19 in San Gabriel, CA. 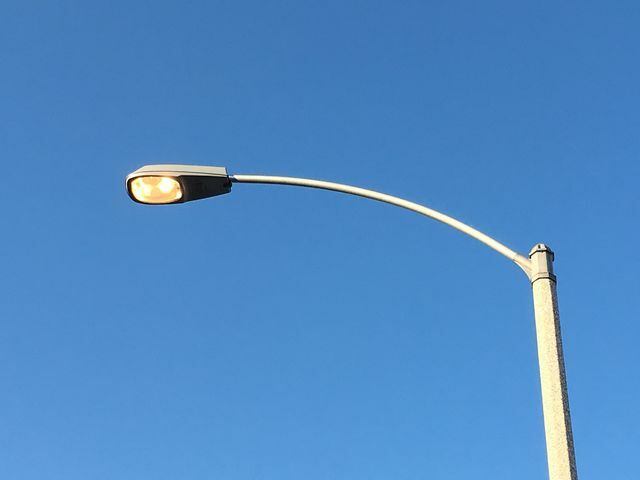 The only major street light installation using Philips Cosmo White CPO lamps in Southern California to my knowledge. All electronically ballasted 140w units. The lamps look tiny! Jan 12, 2019 at 11:33 AM Author: Max. That's quite a rarity in North America. I understood from marketing that CPO lamps and systems were far less popular in the USA than in Europe. It is also interesting to see a warm-white CPO in use here - we developed the /840 variant specifically for the North American market because it appeared that there was a greater demand for neutral-white lamps there. suzukir122 - CPO = CosmoPOlis. That's the name of a range of highly efficient CMH lamps introduced by Philips in 2005. This technology was released in North America a bit later. these so popular? Were these expensive to make or something? I can only assume that the color rendering was almost similar to that of incandescent/filament lamp based fixtures. Jan 12, 2019 at 11:58 AM Author: Max. Yes, CPO lamps are driven exclusively with an electronic ballast. There are several reasons for the lack of interest towards CosmoWhite systems in the North America, the first of which is certainly its high purchase cost compared to conventional lighting systems. Another issue is the limited number of distributors. Beside Philips, Venture is (was?) the only company to offer a (rebranded) equivalent. Finally, Philips introduced its CosmoPolis lamps when interest began to shift towards LEDs... so, a bit late to the party. As for the light color, in appearance it is indeed incandescent white for the /728 lamps, but with a CRI in the 60s the light color quality isn't exactly incandescent-like (not enough red in the spectrum). Feb 02, 2019 at 01:04 PM Author: Max. Yes, and Feilo's lamps are simply re-branded Cosmos made by Philips.